Transform fences, walls and garden areas with these attractive galvanized wall art decor pieces. 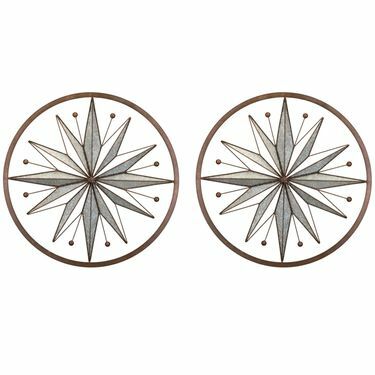 Hang one Circle Star on each side of a doorway or walkway for a classic and beautifully uniform designed look! Size: 26" x 26", Metal.